Why no immediate upgrade to Qantas booking? Classic Flight rewards upgrades are instantly confirmed if there are award seats ONLY ON DOMESTIC ROUTES. If you are on an international flight, the same waitlisting procedure still applies. Hi, thanks but it is a domestic flight - hoping I can do it through call centre while availability is still there.. was on for 40 mins then got disconnected so not having much luck. If availability is there then you should be able to get it unless it is a different flight altogether. Keep in mind that you can use their SMS option to contact Qantas. They usually get things done quicker than on the phone. Domestic awards won't clear until the ticket has been issued. An ‘immediate’ upgrade doesn’t always happen immediately, it depends on loads etc. even if classic rewards are available. Most of mine and I’m platinum takes a few days and often the day before the flight. Paying customers get first dibs and seemingly classic rewards, on these seats and if it is heavily booked already they will keep seats free for paying customers. Thanks for the responses. It should be ticketed as it’s recognised in QF My bookings. I assumed it would be immediate as per articles on AUSBT about how to upgrade and get immediate confirmation etc by looking for reward availability. This is the response I got via their text message service - The approval of request is only immediate of your current flight is a classic reward seat as well. Since you have a commercial flight, it is still subject for approval and availability at least 24 hours prior to flight. So, if I’m a full paying pax which I have a fully flex Y ticket I cannot get an immediate upgrade?! Responses doesn’t seem right to me.. I suppose that's the rule, but Qantas rules (and how they are applied day to day) always seem to make it extraordinarily difficult to actually get something back for your "loyalty" points. 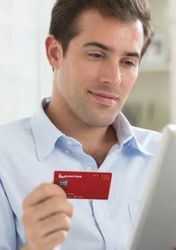 Are you paying by Credit card or direct bank transfer? CC payments are instant direct bank transfer takes a few days. will give it a few days and see. Assume because it’s corpotate travel agent it is going to take few days to process as not done by CC. Try cancelling the upgrade request and resubmit it. This has fixed this problem for me on several occasions where I booked the ticket then requested an upgrade immediately. A PNR in your My Bookings doesn't necessarily mean that the booking is ticketed. I booked a flight in December, flown in January, for which I immediately put in an upgrade request upon ticketing. It did not clear until 2359 the night before. J was not full, though I don't have an EF subscription any more to see the full breakdown of fare class availability. It's the first time I've ever had a QF dom upgrade take any time to clear - previously they either cleared instantly or didn't clear at all. But then, my sample size is... ~4. Most of my dom flying is on Dash 8s, so not much chance to upgrade.